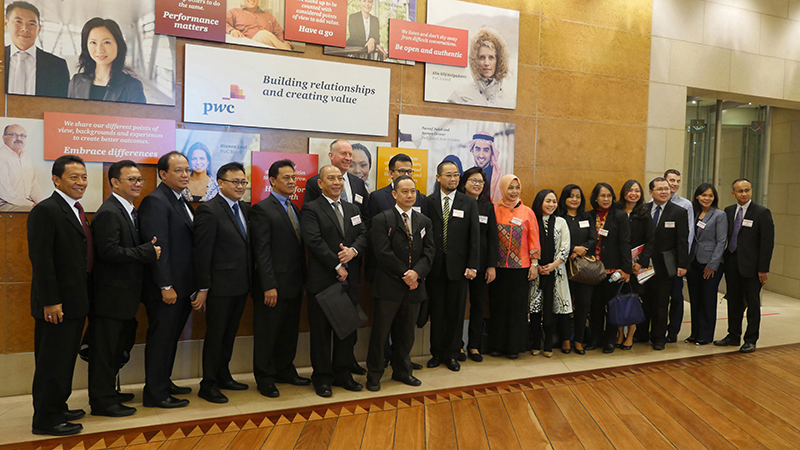 In 2016, the Australia-Indonesia Centre, in partnership with the Indonesia Financial Services Authority (OJK), launched the inaugural Australia-Indonesia Financial Leaders Program. Capitalising on the success of the previous diplomatic leaders programs, the AIFLP aimed to bring together senior members of OJK with leaders from Indonesia’s private sector across financial services, insurance, consultancy and retail banking. Twenty-seven delegates visited Sydney, Canberra and Melbourne, sharing knowledge and building networks with Australian government financial regulators, private finance institutions and consultancy firms.